OPPO, a leading global smartphone brand in a mix of different smartphone players in the market, has been a pioneer in dishing out cutting-edge innovations aimed at improving the overall user experience. Since the company is also well versed with Indian customers' expectations from new gadgets, OPPO has set a benchmark in terms of futuristic technology and disruptions such as camera revolution, fast charging technology and stunning designs. The extensive investment in R&D combined with their deep understanding of the Indian market allows them to curate products, which give them the pole position in this highly competitive landscape. As an innovative smartphone brand, OPPO has made some interesting announcements in India in the year 2018 such as VOOC technology, Gradient Design, Waterdrop screen and the Motorized camera. In the coming weeks also at MWC, OPPO is planning to focus on offering next-gen cameras. Remember its recent announcement about the 10X zoom? It is expected to provide a zoom range of 15.9mm to 159mm and will use a primary camera, a periscope style telephoto lens and ultra wide cameras. OPPO Global Product Manager Chuck Wang had also confirmed in the past that the brand might launch its foldable smartphone at the upcoming event. But that's not all, the company could also launch a 5G smartphone at the event, as a recent tweet suggests. Back home in India, the brand has marked its presence for five years now. With the launch of the R&D centre in India, it is safe to say that OPPO will continue pushing boundaries for smartphone innovation at its home ground. If sources are to be believed, with Mobile World Congress (MWC) scheduled in Barcelona just a couple of weeks away, it looks like the company is not only planning to take things up a notch at an international level but in India too. 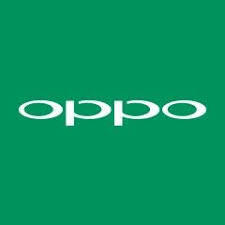 One can expect OPPO to unveil some major groundbreaking technological innovation for the Indian consumers very soon. What will be that innovation? Eagerly waiting for the announcement from OPPO.